A council director who has become a popular figure in business circles for spearheading Birmingham city centre regeneration has been put in charge of economy at the authority. Waheed Nazir, Birmingham City Council’s director of planning and regeneration, has been appointed as acting strategic director for economy. In his new role, as well as leading on the delivery of planning and regeneration, transportation, skills and employment for a 12-month period, starting with immediate effect. 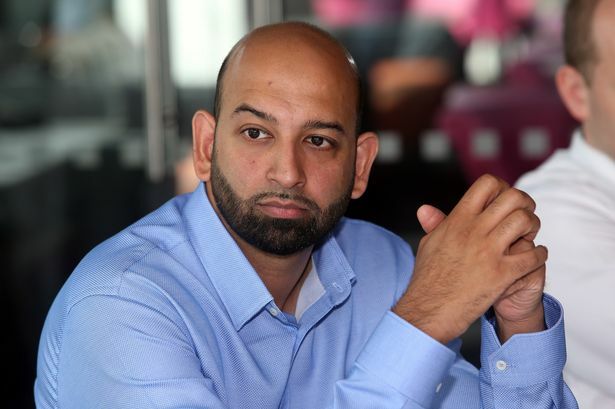 Mr Nazir has been responsible for the Big City Plan in recent years, and has been the driving force behind schemes like the Birmingham Curzon HS2 Masterplan, Snow Hill Masterplan, metro extension and Birmingham Smithfield development at the old Wholesale Markets. In his new role, he will become a member of the corporate leadership team developing strategy for the authority. He said he was committed to “directing transformational change” across the city. He said: “With responsibility for planning, regeneration, housing, skills and transportation, I am excited by the prospect of bringing these key interconnected priorities together, as it is only by building sufficient homes, creating a skilled workforce and delivering an effective transport system, supported by a clear vision for the future, that we will maximise opportunities for the city and the wider region to drive forward economic growth. Mr Nazir has worked at the city council for over 15 years in various economic development roles. He has risen to prominence as director of planning and regeneration over a time of great progress in the city centre. Through the Birmingham Development Plan, he has contributed to boosting regeneration by making the most of transport investment, like HS2 and the Midland Metro extension. He has also played a part in funding successes like the enterprise zone, alongside Greater Birmingham and Solihull Local Enterprise Partnership, including the recent expansion which will deliver a near £1 billion boost to city coffers.